Preheat the oven to 325 degrees. 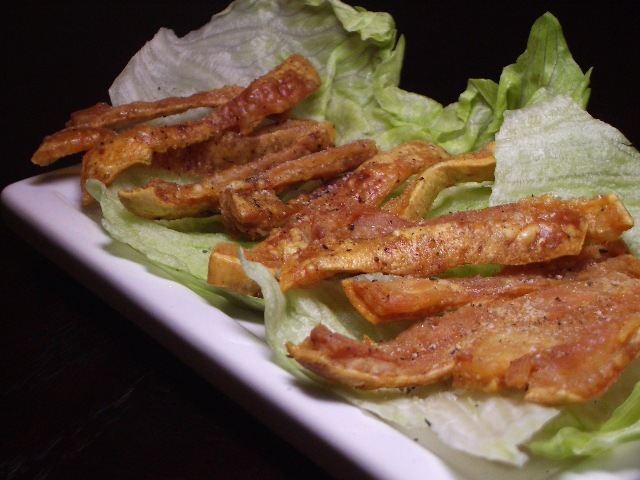 Cut the pork rind into strips of your desired liking (they will shrink up considerably). Season with salt and pepper and place on a baking sheet. Bake for 2-3 hours, or until crisp. Cool, serve, and ENJOY! Portions: What you see above is a little less than a 1/4 pound of fresh pork rinds. We roasted these for about 2 hours, which ended up being perfect. For larger portions, 3 hours may be more appropriate.